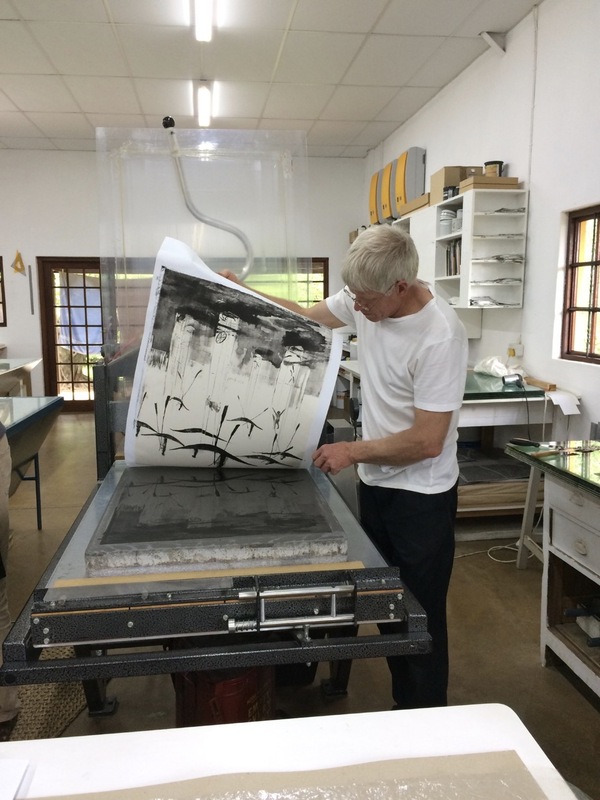 The Artists' Press is dedicated to bringing you the finest limited edition original prints available in southern Africa. Our focus is on hand printed lithographs that are printed by master printers in collaboration with artists. The artists that we represent are among the finest in South Africa and have exhibited locally and internationally. Lithography is a method of printing based on the principle that oil and water do not mix. Printing is done from a stone (lithographic limestone) or a metal plate with a grained surface; using oil-based inks. The artist works on a separate stone or plate for each colour. A hand printed lithograph print is an original work of art and is an image that does not exist in any other form. INTERESTED IN WHAT WE DO AND WHAT PRINTS ARE AVAILABLE? Scroll down and click on the page that you wish to explore. Click here for the artists that we work with and to see what prints they have done. Click here for the artists that we work with and to see the prints that they have done. Browse through curated selections of limited edition prints by artists from The Artists' Press. A selection of handprinted and bound artists books with original prints in them. Here you will discover lots about our print studio, our print archive, price list, how to care for prints, printing techniques and investing in prints. Read about how we are "greening" the press and our lives with our environmental efforts. Take a look at our guesthouse too. Call Mark on +27 (0)83 676 3229. To order a print or for further information please make use of the details on our Contact Us page.